1. (Hanan b. Abishalom.) One of the police judges at Jerusalem in the last decades of its independence (see Admon b. Gaddai). Several of his decisions have been preserved (Ket. xiii. 1 et seq.). 2. Disciple of Akiba, quoted among "those who argued before the sages" (Sanh. 17b; comp. Yer. Ma'as. Sh. ii. 53d). 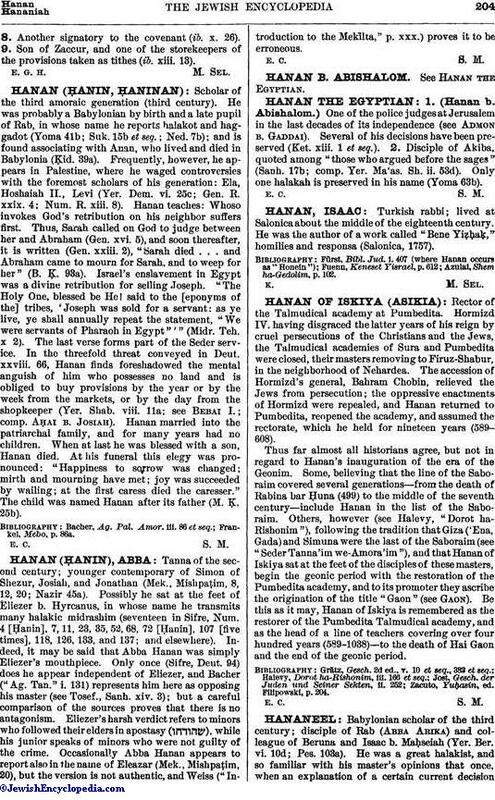 Only one halakah is preserved in his name (Yoma 63b).